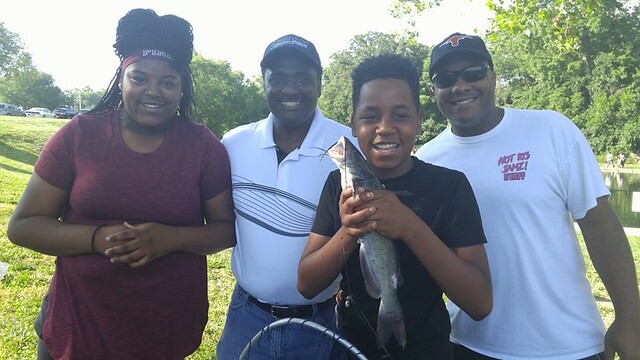 On June 18, Urban Kids Fishing Derby National Tour made their fourth stop at the Spring Valley Park Pond in Kansas City, Missouri. This event was created by Urban American Outdoors TV, and is aligned with Obama Administration’s “Every Kid in a Park” initiative. Around 350 attendees, partners, and volunteers participated in the catch and keep Urban Kids Fishing Derby during the Father’s Day weekend. Our biggest catch $100 prize winner is Tilea Wilson. Her fish was 2lbs and 2 oz. 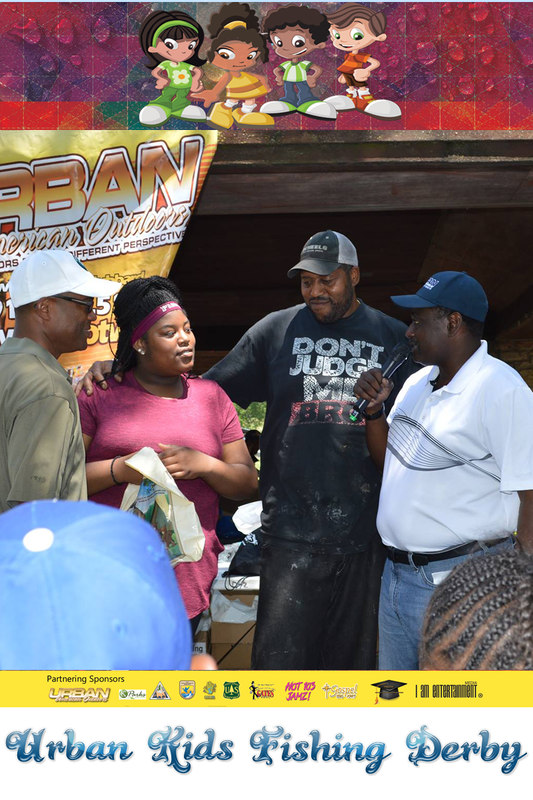 Mark Bowland, KC Parks, and the biggest catch winner, Tilea Wilson and her father Mr. Wilson, with Wayne Hubbard, at the 11th Annual Urban Kids Fishing Derby KCMO. 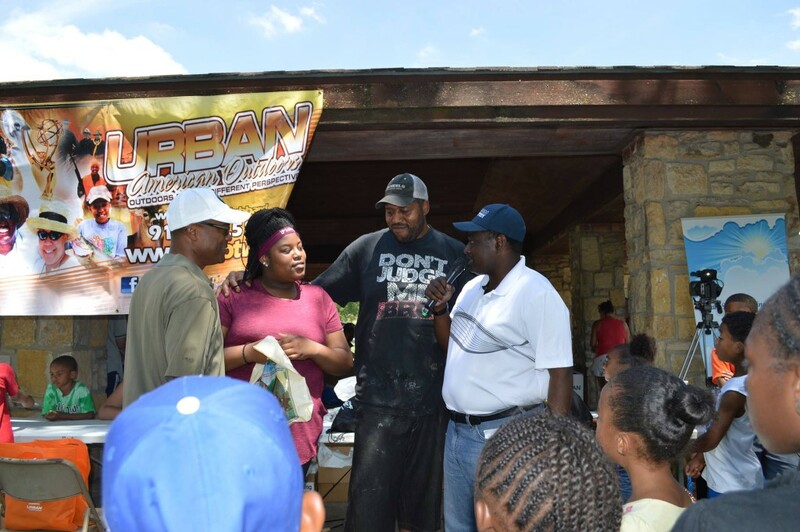 View our photo album from the Urban Kids Fishing Derby KCMO below. Thanks to our wonderful partners who came out to assist us in making this fishing derby a success. A special thank you to Kansas City Parks & Recreation, KPRS Hot 103 Jamz & KPRT Gospel 1590, US Fish & Wildlife Service, USDA Forest Service, Healthy Parks Healthy People, National Park Service, Gates Bar-B-Q, F.A.C.T.S. Tutoring Services, Inter City Bait, KC Dawgs, and I Am Entertainment Media.